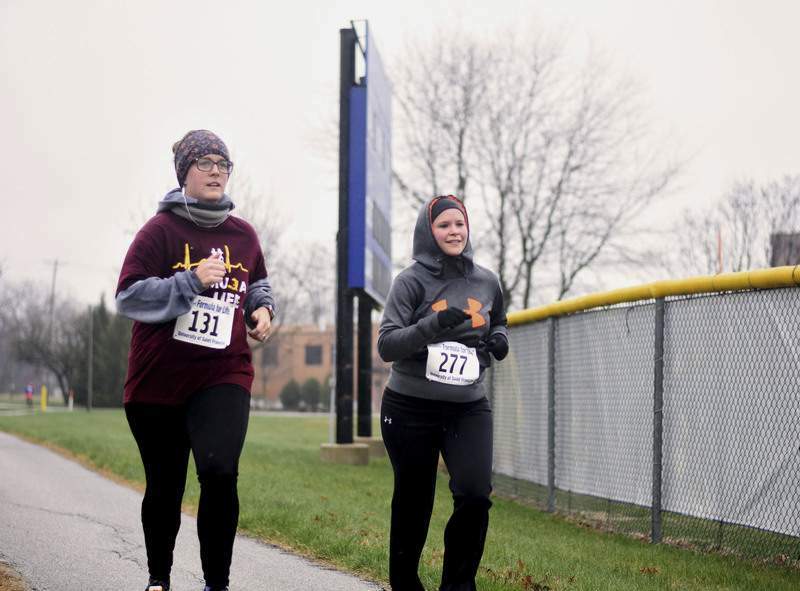 Katie Fyfe | The Journal Gazette Megan Dean and Amber Reidenbach run together during the 11th annual Formula for Life 5k run/walk and silent auction at the University of Saint Francis on Sunday. 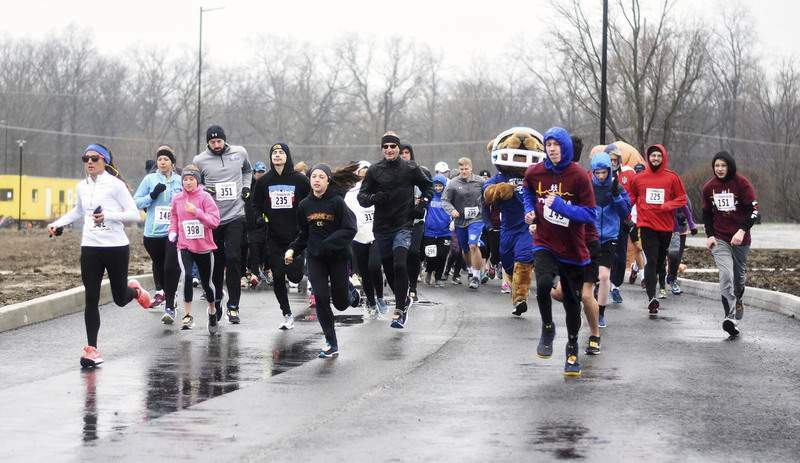 Katie Fyfe | The Journal Gazette Bev Hoban makes her way to the finish line during the 11th annual Formula for Life 5K run/walk and silent auction at the University of Saint Francis Sunday. 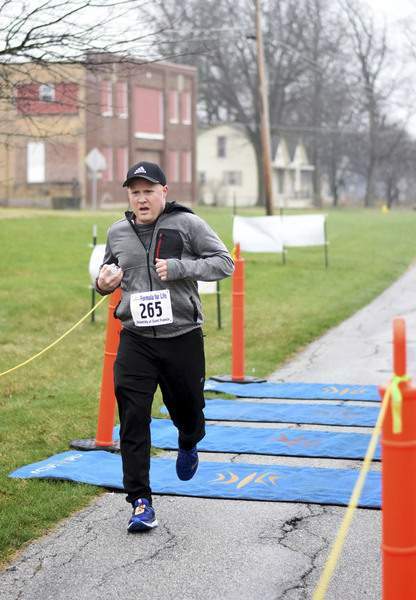 Katie Fyfe | The Journal Gazette Joshua Paden crosses the finish line during the 11th annual Formula for Life 5K run/walk and silent auction at the University of Saint Francis on Sunday. 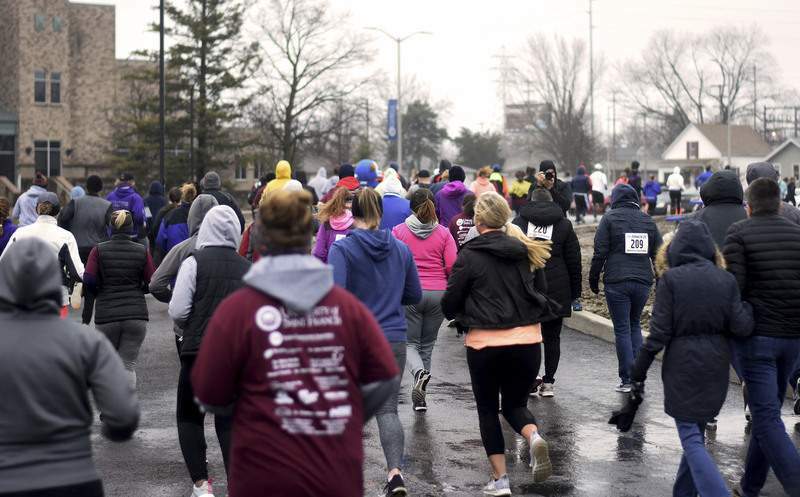 Katie Fyfe | The Journal Gazette The University of Saint Francis hosts the 11th annual Formula for Life 5K run/walk and silent auction Sunday. Proceeds from the event support Our Lady of Perpetual Help Orphanage in Haiti. 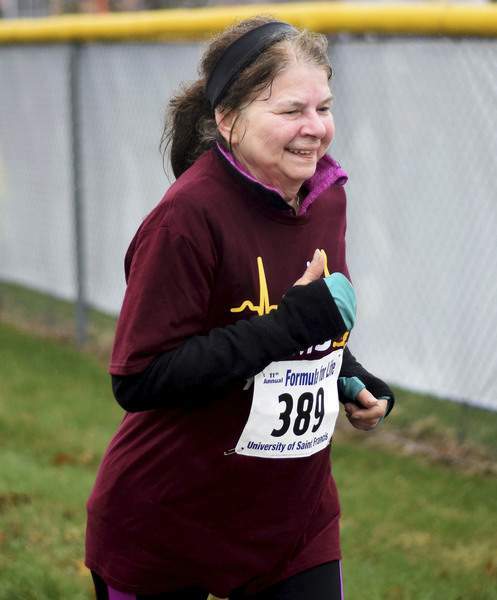 Roth admitted she had second thoughts during the 5k. "But we kept running," Matthias said. She added, "We're still in good spirits." Meyer, a senior, traveled to the country last year and spent two days at the orphanage, where the children were excited to see the group, she said. Other activities included visiting a hospital and setting up a mobile clinic at a nursing school to demonstrate how a clinic should be run, she said. "I was heartbroken for them," Meyer said of the students unable to go. "We'll do it until there's no longer a need," she said, noting over $200,000 has been raised to date.